"Sweden play safety-first football these days, and their last six games have been deadlocked at half time." As incredibly talented as Zlatan Ibrahimovic is, and for all the trophies he's won and the gasps of wonder he has elicited from fans, he has never been able to inspire Sweden to any monumental achievements at international level. He never helped them beyond the last 16 of the World Cup, and the team failed to escape the group stage of the last three European Championships. That record probably made it easier for Sweden coach Janne Andersson to resist the temptation to invite Ibra back into the fold for this World Cup. The Scandinavian nation qualified without him by working as a cohesive unit, and scrapping for results as if their lives depended on it. These qualities were on show during the Herculean playoff win over Italy, in which Anderson's battlers secured two clean sheets, and a winning goal from Jakob Johansson. The concern for Sweden is that they simply don't have enough stardust to reach the last 16. They didn't score in any of their last three friendlies, and since the start of October, the only team they have scored more than once against in a match is Luxembourg. They look to RB Leipzig playmaker Emil Forsberg for inspiration in open play and at set pieces, but he's just had a dire campaign in the Bundesliga, and it's asking a lot for him to suddenly sparkle now. 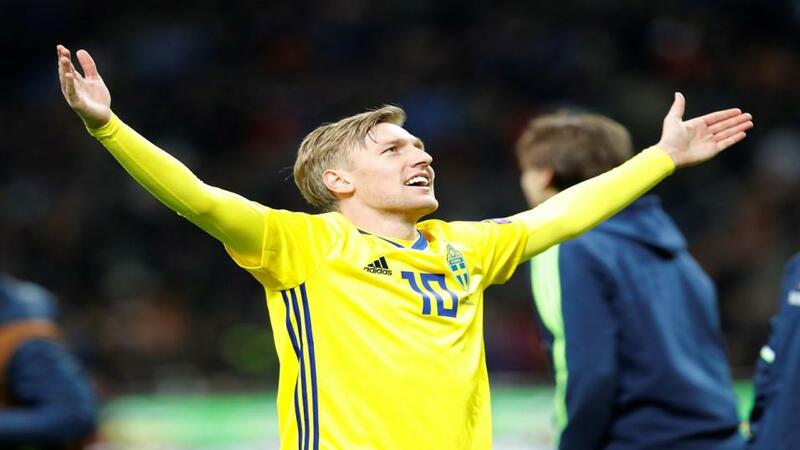 Opta tell us that Sweden are unbeaten in their last nine group games at the World Cup, but seeing as they haven't actually got this far since 2006, that statistic is only of limited use. Perhaps more relevant is that Sweden are generally slow starters at the World Cup - they haven't won their opening match of the finals since 1958. Since their dizzying run to the semi-finals on home soil at the 2002 World Cup, South Korea haven't made a consistent impact at this level. Opta tell us they have won just one of their last nine group games, and they have failed to escape the group stage in two of their last three World Cups. Although South Korea have excellent individuals in fleet-footed Spurs striker Son Heung-Min and midfielder Ki Sung-yeung, there isn't strength in depth, and some key players were ruled out by injury in the build-up to the tournament. They struggled badly away from home in qualifying, and although coach Shin Tae-yong once described himself as "the Asian Special One", he has done little at international level to earn that moniker. Having replaced Uli Stielike, he was in charge for two WC qualifiers, and drew both 0-0. South Korea failed to score in their last two warm-up games, and it's worth noting that in their five qualifiers on the road, they drew a blank four times. As I suggested in my Group F preview, Sweden are too short to win this match. They have been dire in front of goal in the build-up to the World Cup, and they struggle to open teams up. South Korea have the individual flair to cause Sweden a few problems, and if Son has the kind of game Spurs fans know he is capable of having, then it's worth backing South Korea +0.5 on the Asian Handicap at [1.9]. If South Korea win or draw, you get a winner. One of the reasons someone like Son could turn the game is that I think it will be a tense affair. Sweden like to keep things tight, and with big tests against Mexico and Germany on the horizon, this is a game they daren't lose. Sweden played out 0-0 draws against Denmark and Peru in the build-up to the tournament, while Shin Tae-yong has often failed to get South Korea playing with any sort of cutting edge. Under 2.5 Goals feels like the way to go, but the price of [1.59] is a bit off-putting, so perhaps you should consider backing No in the Both Teams To Score market at [1.8]. Sweden have been level at half time in their last six matches if you consider official friendlies and play-off games, which makes sense for a team that plays safety-first football. South Korea have seen four of their last six outings end up level after the first half, so backing Draw in the Half Time market is worth a look at [2.0]. If you're looking to put together your own acca using Same Game Multi on the Sportsbook, you could back Draw at Half Time, No in BTTS and Under 2.5 Goals at combined odds of [2.99]. Sweden are unbeaten in their four previous head-to-heads against South Korea (W2 D2). It’s their first encounter at the World Cup. The draw is [3.3]. Sweden’s joint-biggest win was a 12-0 victory against South Korea in the 1948 Olympic Games. The Swedes are [2.1] to win. Sweden have qualified for their 12th World Cup – their first since 2006 – knocking out Italy in the play-offs. They are [2.48] to qualify from Group F.
Since finishing as runners-up on home soil in 1958, Sweden have progressed past the second round of the World Cup only once, it was in 1994 when they finished third. Sweden are [8.2] to reach the quarter-finals. Sweden are unbeaten in their last nine group games at the World Cup (W3 D6), their last defeat in the first round of the competition dating back to 20 June 1990 (1-2 v Costa Rica). They are [1.44] in the Draw No Bet market. Sweden have kept only three clean sheets in their last 24 games at the World Cup. Over 2.5 goals is [2.62]. Sweden have won none of their last seven opening games at the World Cup (D5 L2), their last victory dating back to 1958, on home soil (3-0 v Mexico). Meanwhile, South Korea are unbeaten in their last four openers (W3 D1). South Korea are [4.4] to win. South Korea have won only one of their last nine World Cup games (D3 L5) - it was in their opening match of the 2010 edition against Greece (2-0). The draw half-time/Sweden full-time double result is [4.9]. Five of South Korea’s last eight goals at the World Cup have been scored from outside the box. Also, 12 of South Korea’s last 13 goals in the competition have come after half- time. Both teams to score is [2.2]. Shin Tae-Yong is entering his first World Cup as a manager, while his two matches in charge of South Korea in the qualifiers produced two goalless draws (v Iran and Uzbekistan). Another 0-0 draw is [8.2].